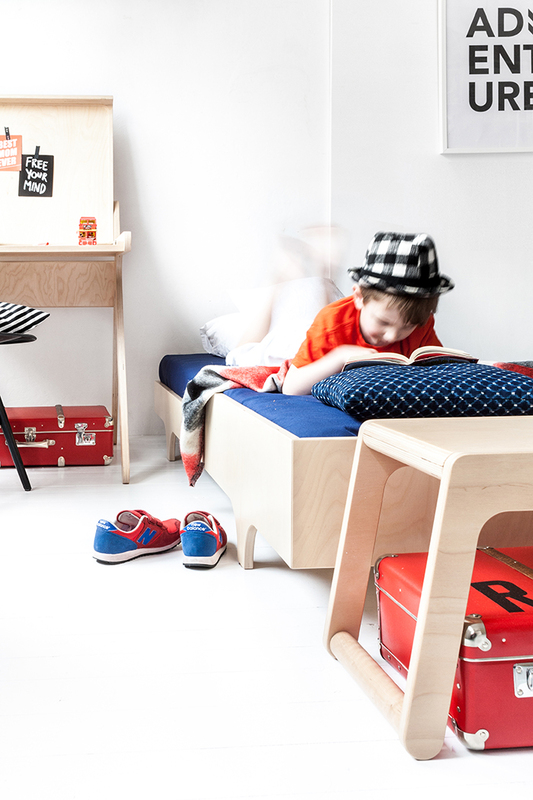 I’m always so exited to see our Rafa-kids furniture in ‘real’ children’s rooms. This time it is even more special, since we can see how our furniture is growing with them when time passes. 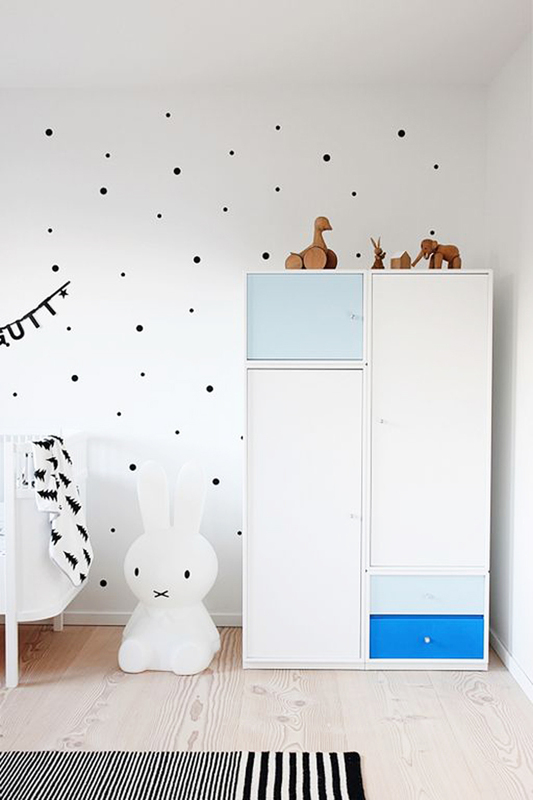 Two years ago I showed you this playful toddler room in Sweden: Antoines-Leonors-Room. 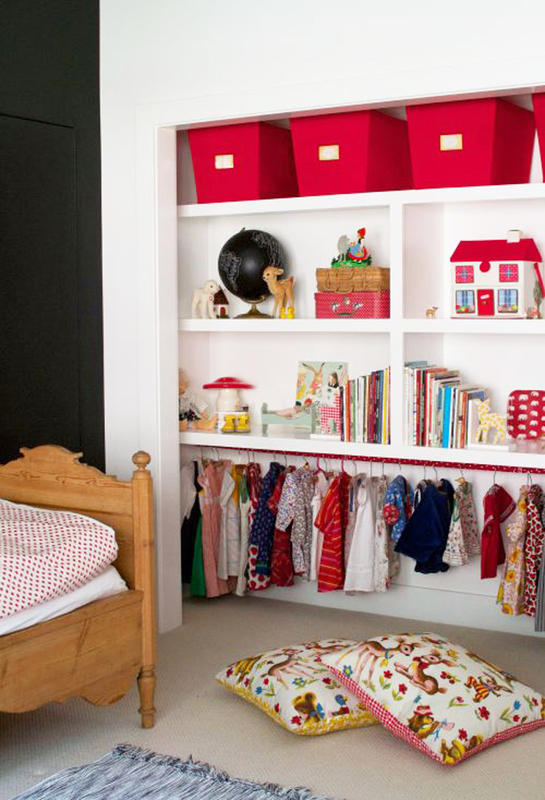 Peggy, mom of 4, created this room for her little boy Antoine and his little sister Leonor. 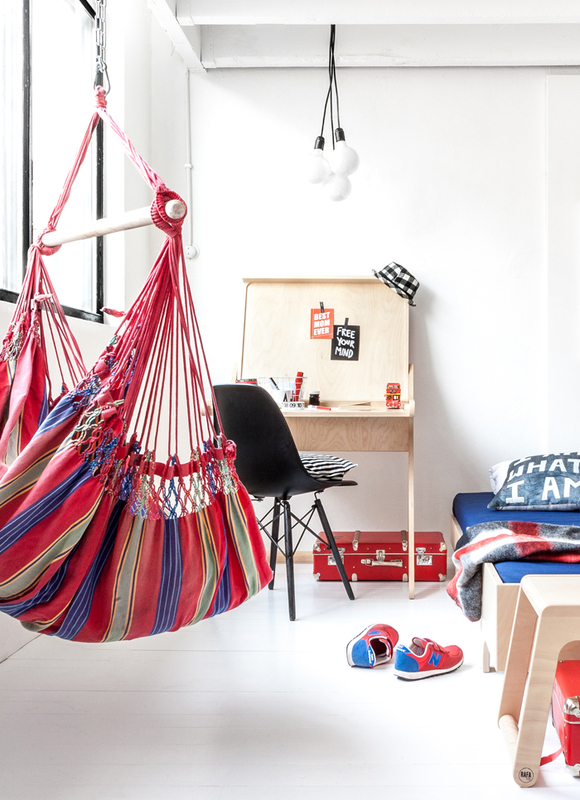 Rafa-kids bed become part of this creative playground for children. Now, the little boy is not so small anymore. He is 6 and shares a new room with his sister Leonors who is 3 1/2 now. As their mom explained, she tried to put first a bigger bed next to the toddler bed, but the arrangement didn’t really work well. 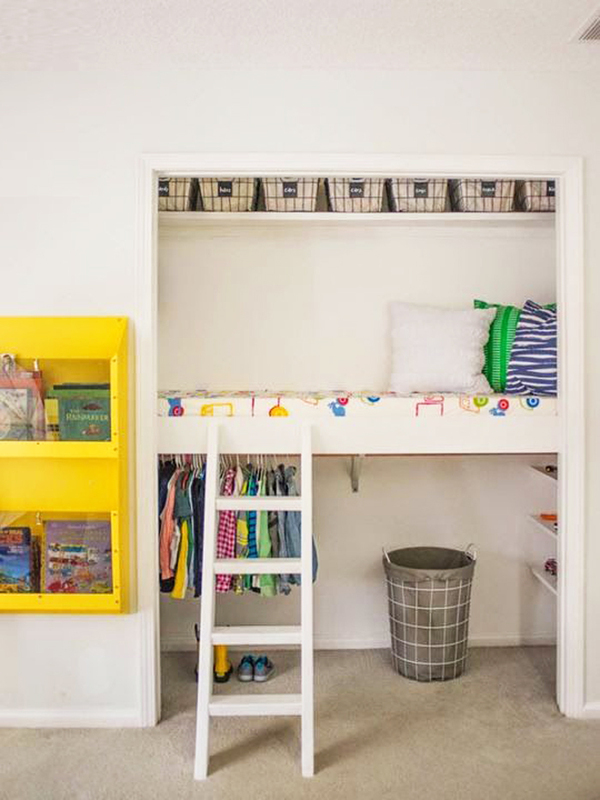 We could not imagine a better option, than adding the F bunk bed above the toddler bed! 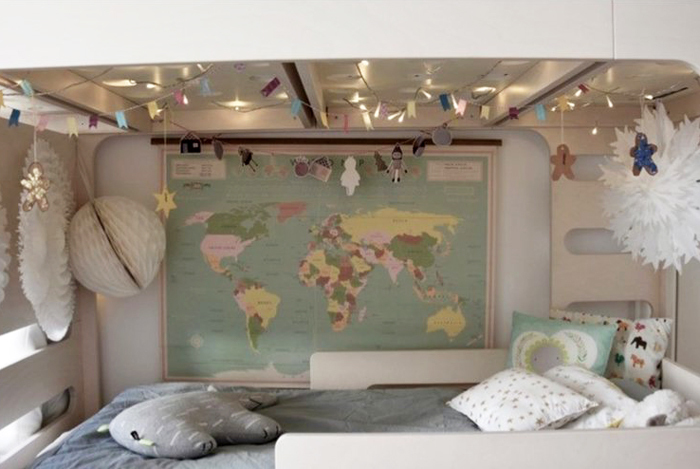 What I like the most about this set of beds, is the chance to create a little world under the bunk bed for a younger sibling. Peggy did it so well. Leonors sleeping area is looking so cosy and inviting. I’m sure it is for her a safe territory where she feels good and hopefully sleeps well! Antoine-Leonors-bedroom. Thank you for the lovely pictures! Weekend! Last week we decided that our Friday’s are going to be “ Out and About ” . Each Friday we will go and discover some new places and recharge our batteries and get inspired. Do you like the idea ? Today I would like to show you our first outing. 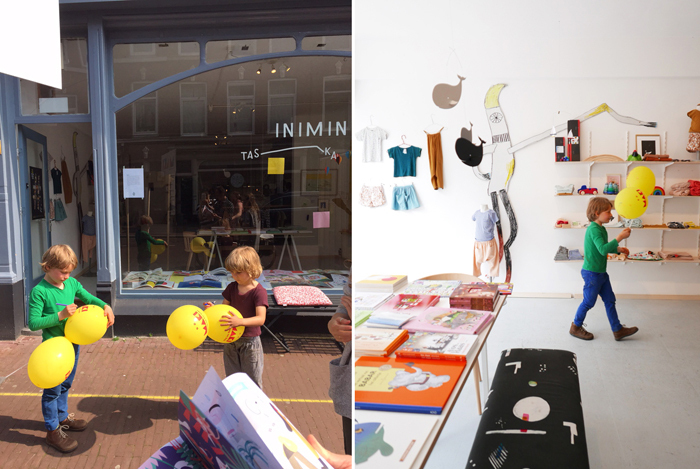 We went to The Hague, since there is a 3 day event called “ Festival Design Kwartier” 27-29 May. Tomorrow you still have chance to see it if you are around. Open doors to designer’s studios, houses , galleries and shops all filled with design. On our ‘must see’ list was Tas-ka store. 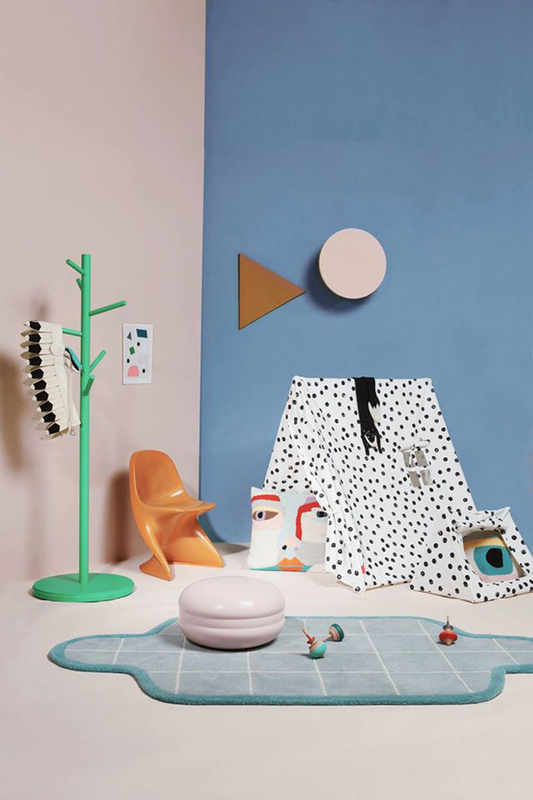 Unique design concept store hosting also products for MINI - people. Tas-ka is run by Jantien Baas and Hester Worst. In the store you will find, their own design prints all over the place. 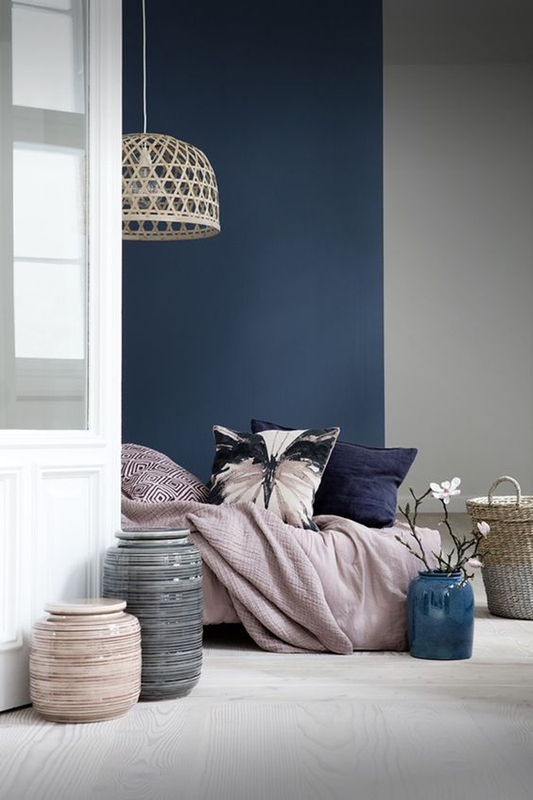 From designed and manufactured in The Netherlands textiles, their bedding, bags, cushions, tea towers. Their print comes on lamps and plenty of beautiful paper goods too. 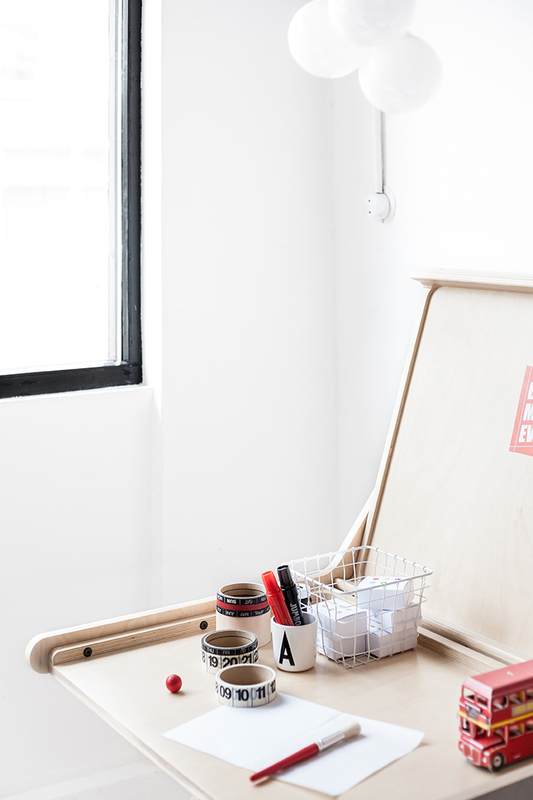 Jantien and Hester also carry a well curated collection of goods from other brands. 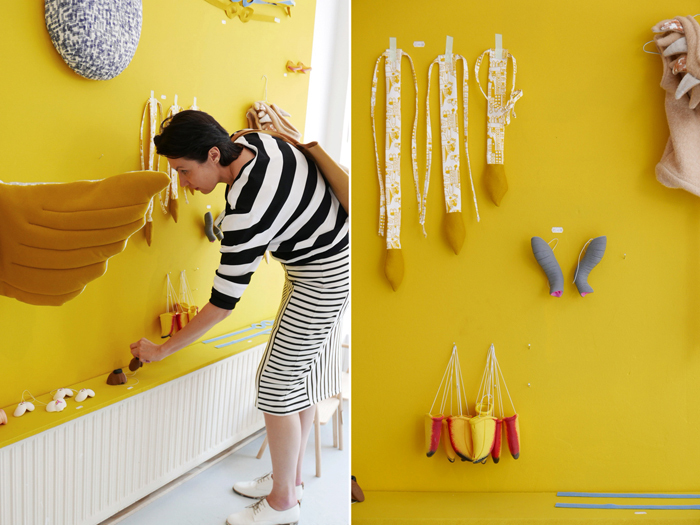 Exclusively for “ Festival Design Kwartier” we could see this cute mustard yellow exposition wall with accessories for little ones. There is also a bookstore ! As you could see the store has a minimal look with a graphic touch. Atmosphere is built with care for every little element and product. Well done, Tas-ka! 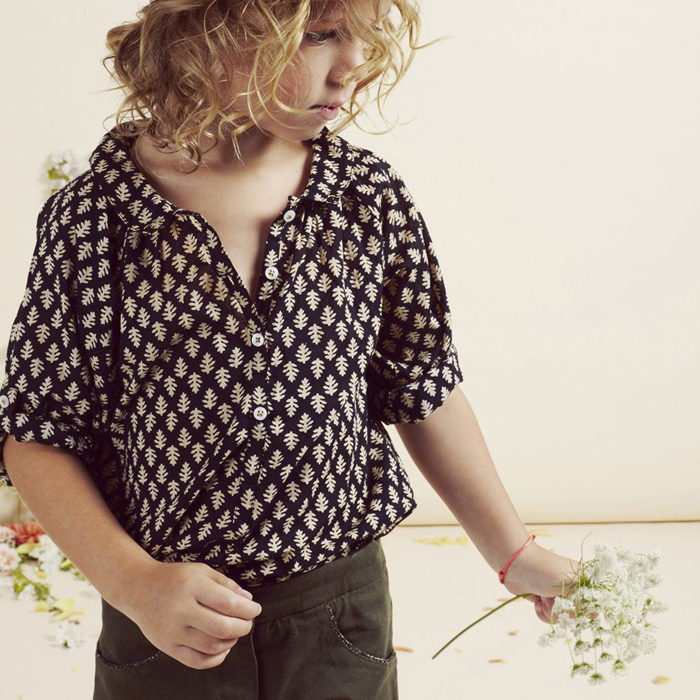 fashion for boys here: scotch-soda-fashion-for-boys-part-1. Today I would like to show you Emile et Ida. 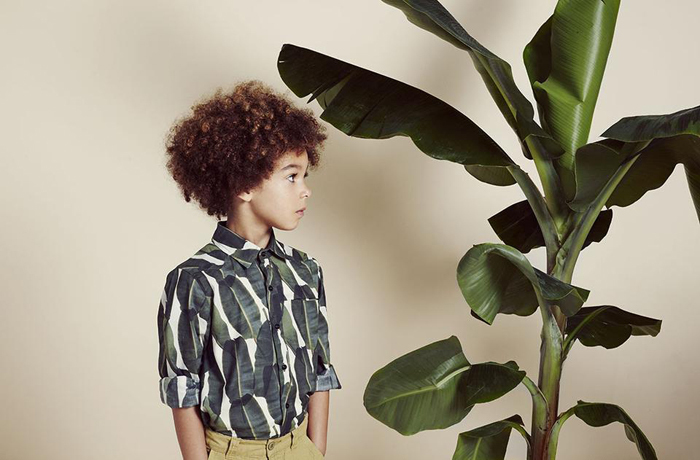 Soft and silky materials, jersey fabric and playful prints, we all love it here! 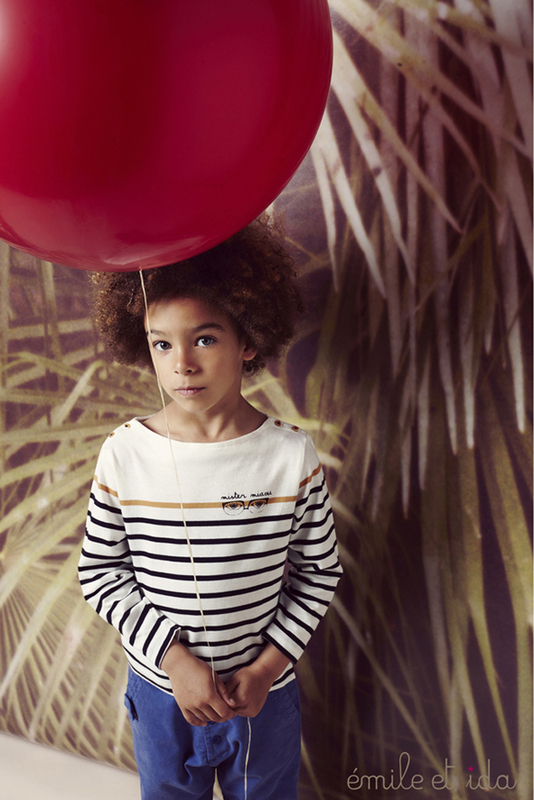 This French brand will take your kids into charming casual and simple atmosphere. What I like about it is, that their graphic t-shirts and sweatshirts can be easily worn by both my 5 and 9 years old boys. They are looking modern but you still know it is for kids at different age. The collections goes up to 10. They are definitely a great essentials in kids' fashion. 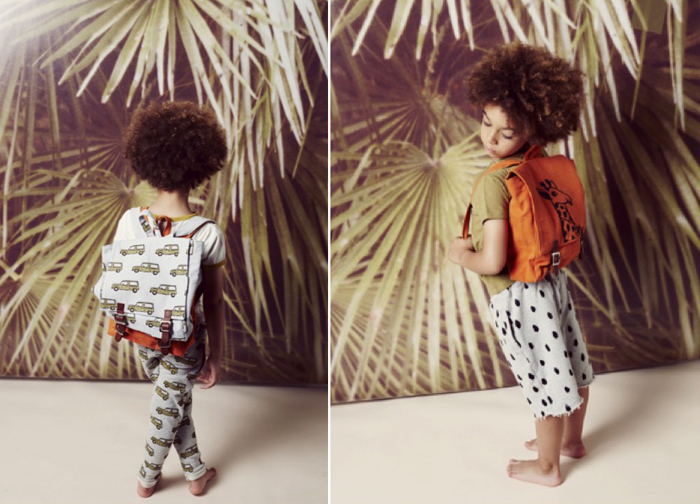 You can find a large collection of Emile et Ida wear and cool backpacks for this Summer at one of my favourites stores with kids fashion: Orangemayonnaise. / Shipping worldwide . Do your toddlers like to choose their clothes? or at least like the idea that they are able to take things from their closet and maybe put it back ? Well, I think it’s nice to stimulate independence in our children. It is not only handy for parents ( as we can have more time to dress ourself ) but it also makes our little ones very happy and absolutely proud, that they are able to dress themselves. 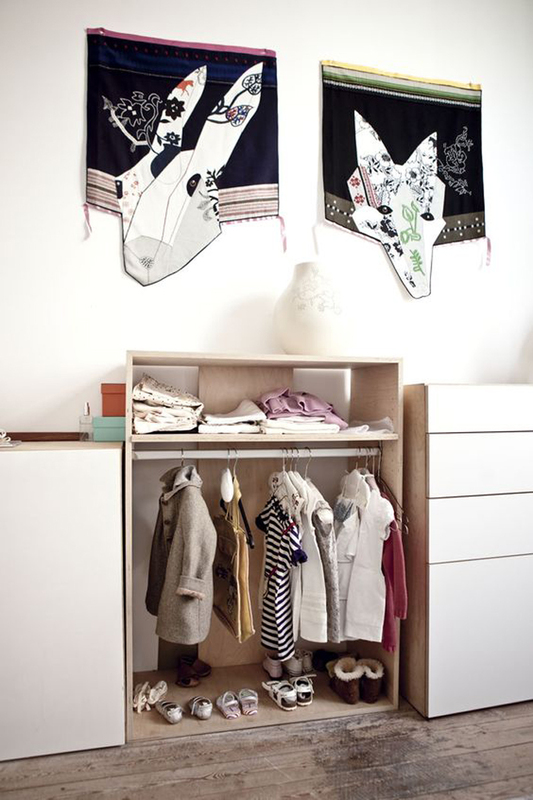 I found plenty of good ideas how to create a children friendly closet. Very important thing to start with - the hight! It will be good if all the garments are at their fingertips. In my opinion, half open and half closed closet is a perfect option. 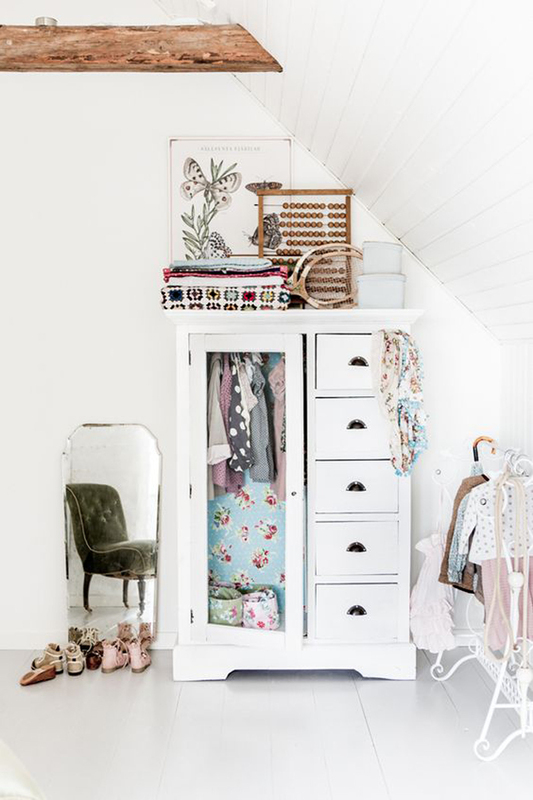 We can hide things which are not as much interesting to look at ( pyjamas, underwear , socks etc ) and expose or hang the favourite pieces. Good segregation of garments which could be named and labeled is an another step to success. 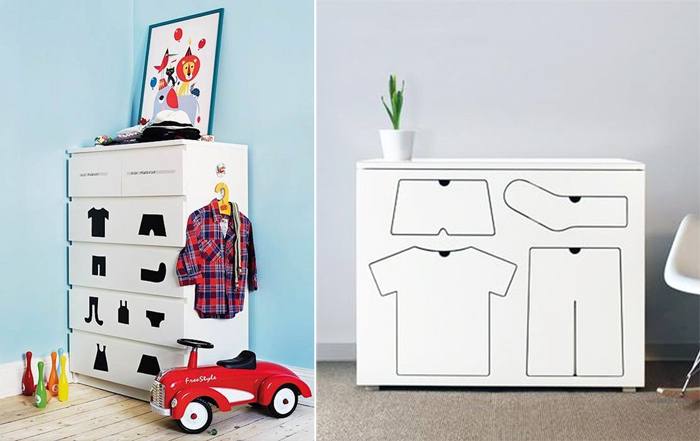 We can put stickers on the drawers or on little boxes to help our toddler to find important parts of his/her wardrobe. Currently very popular option is to create open hangers on different sort of rails ( wooden twig ) . I can only imagine ( as a mom of boys) that girls would love to expose their favourite little dresses and accessories. Wall hooks are also a very nice decorative elements to use. Do you have any more nice suggestions ? 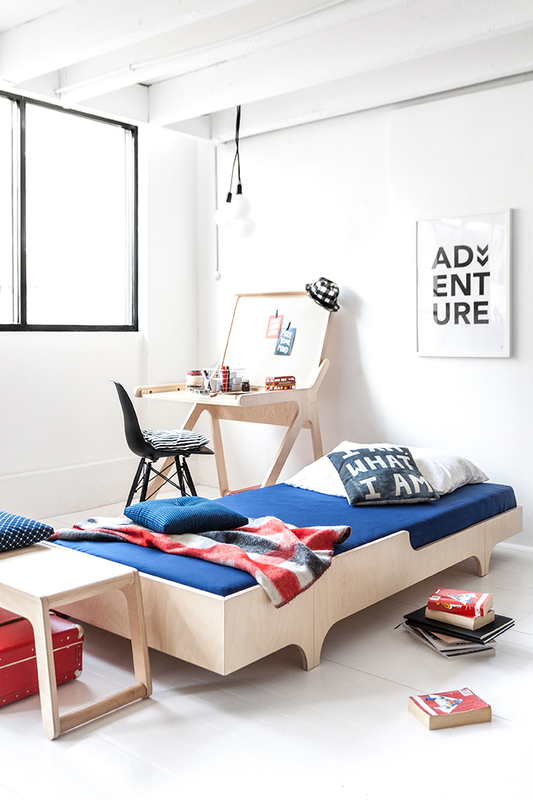 Finally we are ready to show you Rafa-kids NEW A teen bed! Following so many requests from our customers to make our classic A teen bed in bigger sizes, we are so happy to introduce A90 and A120 beds. The new sizes are respectively: 200x90cm and 200x120cm wide. 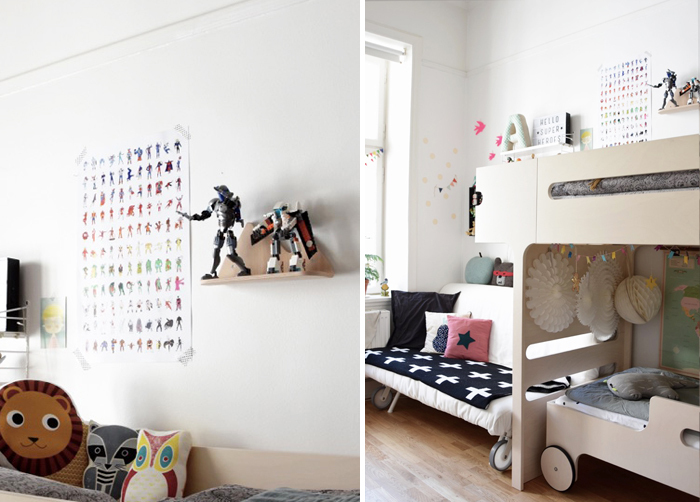 We created this playful boys space, to show you how nice it is to have a bed in the middle of the room. It’s simple and elegant design makes the biggest piece of furniture in a bedroom almost disappear. 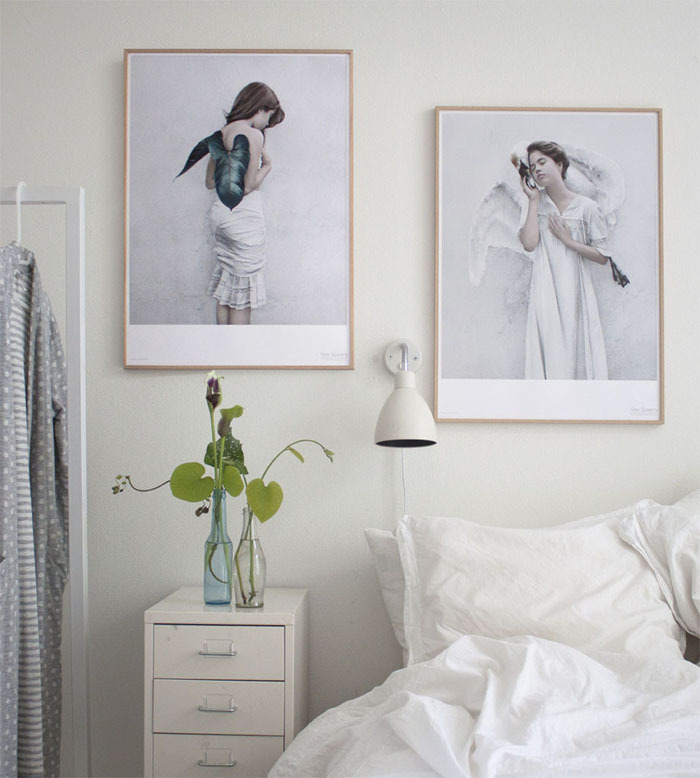 The bed is very low, so visually doesn’t take much space and you will have so much pleasure to decorated it. Pillows and plaids, favourite cuddles and personal belongings will definitly take a first place in the room. 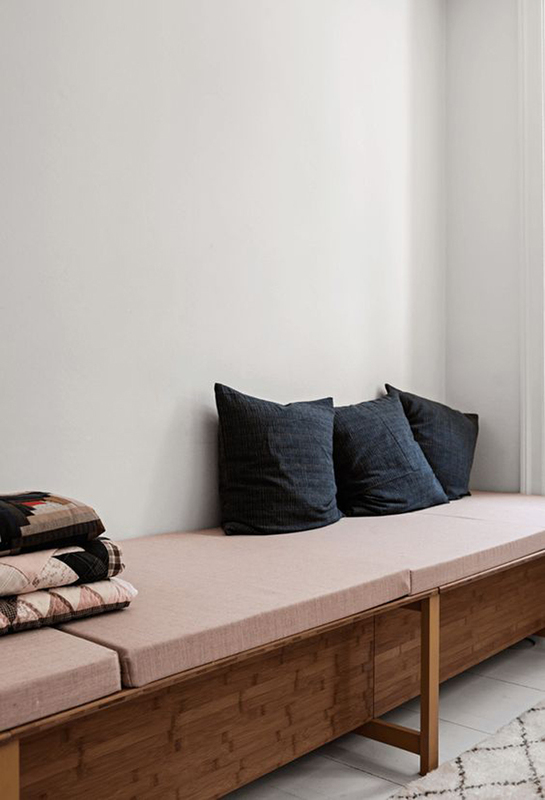 Since the bed doesn’t have any headboard, it also makes it very flexible to position in a room. I can only say- Let’s play with it! 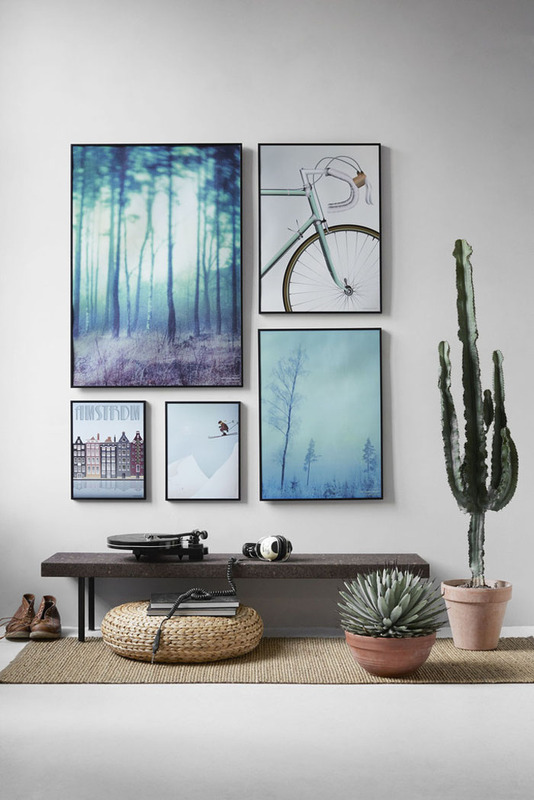 Are you looking for inspiration to create a gallery wall at your home ? Well, I just discovered VisseVasse - visual stories website and I really like it. 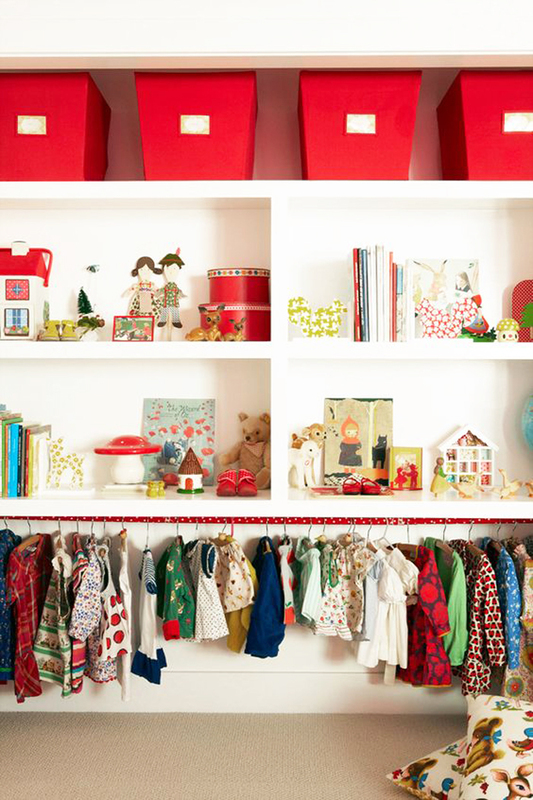 As you know me, I like products which will look great in kids’ rooms the same way they can be exposed in our living room. VisseVasse - ring the bell! 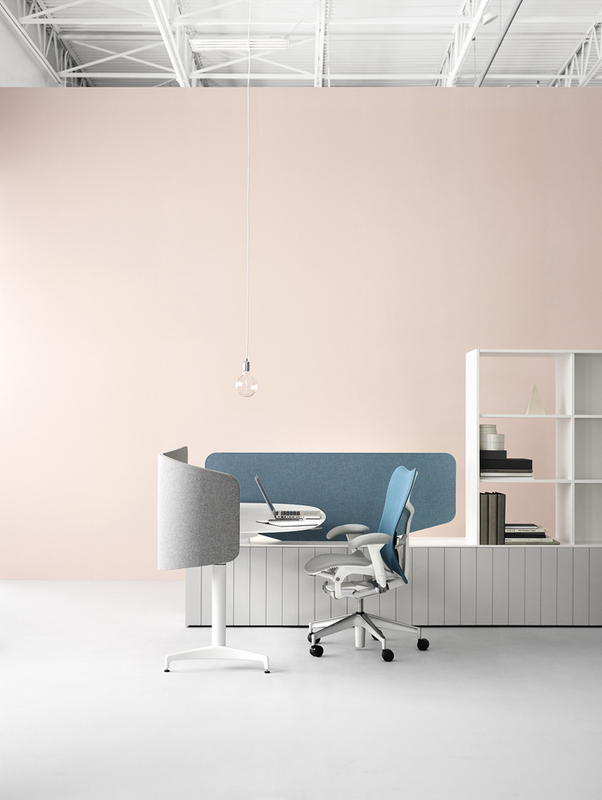 This Danish company was founded by Dorthe Mathiesen and Karsten Noel. They both have worked for the past 20 years in the field of fashion, production design and graphic design. 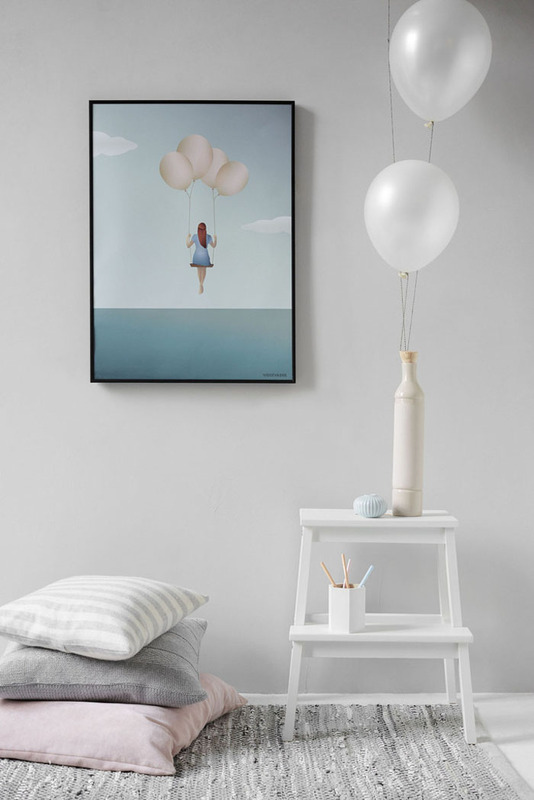 In 2013 they launched Langebro the first city poster. 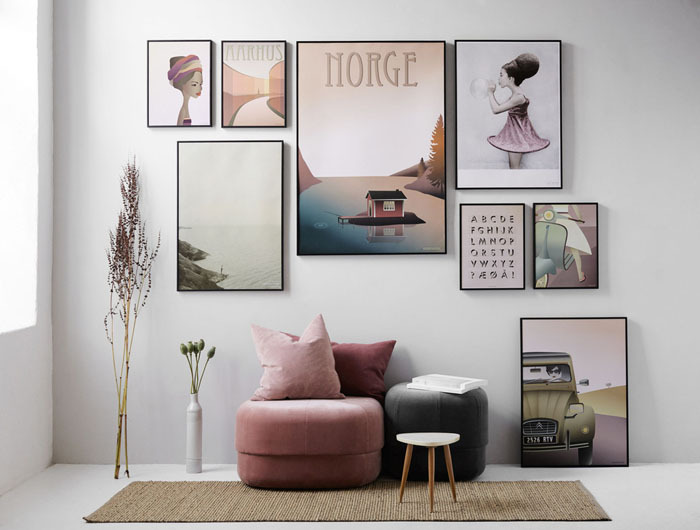 With its references to 1930s poster artists and the mint/turquoise colours of the era, it set the tone for the upcoming collection of posters featuring landmarks from Danish and European cities…..can you find yours? Please read all the story of the company here. My favourites are exclusive collaboration with photographers Vee Speers (Australia) and Dan Isaac Wallin . 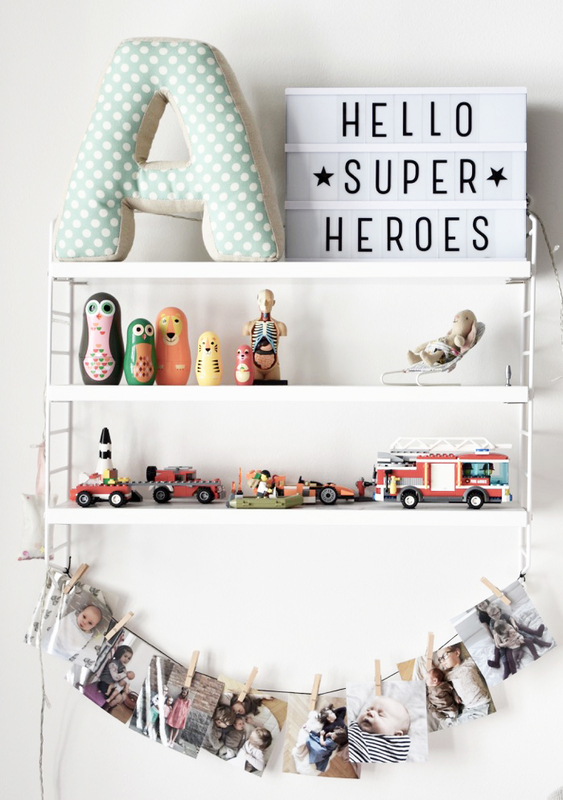 Only not sure if my boys would like them in their room, through…..
Today we are talking about unique two colour combination instead of one . 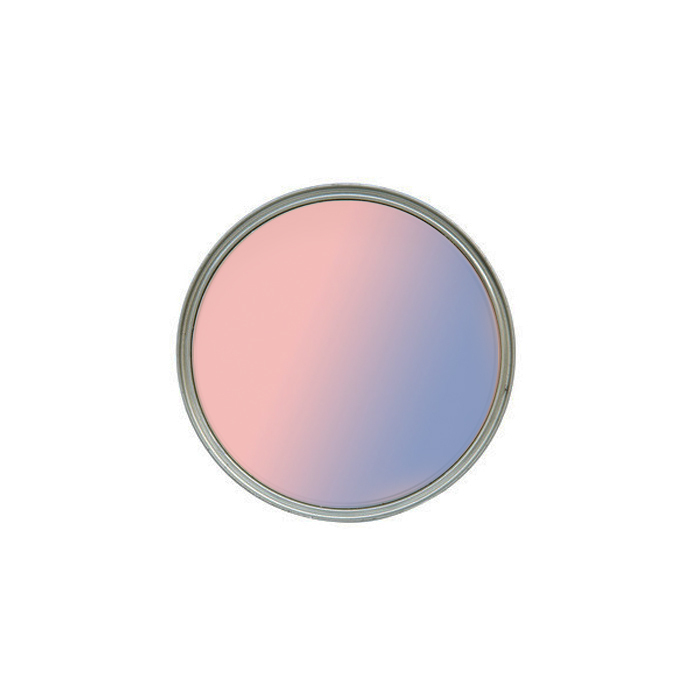 The most cliché colour hues for boys and girls - PINK and BLUE. 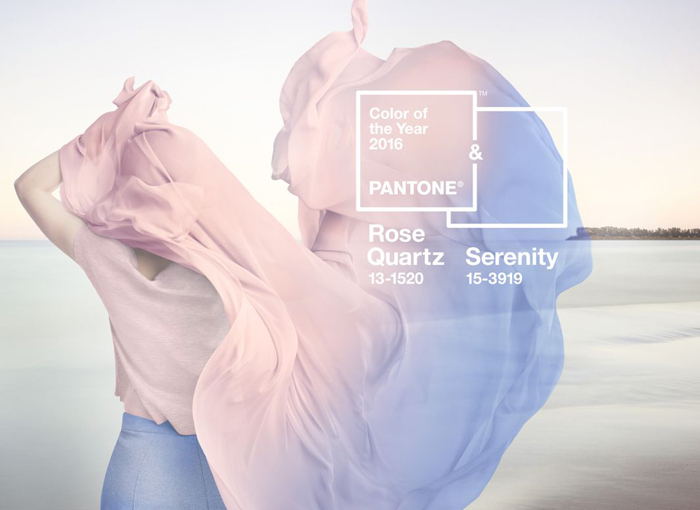 Panton selected for 2016 Rose Quartz (baby pink) and Serenity (baby blue). I find it very interesting that they decided to put together this combination. I noticed very strong movement in gender equality in fashion and secretly hope the genderless trend will start to be more present in children deco too. I believe that style should be above all this traditional perceptions of what ‘should be’ for boys and for girls, especially if we talk colours. 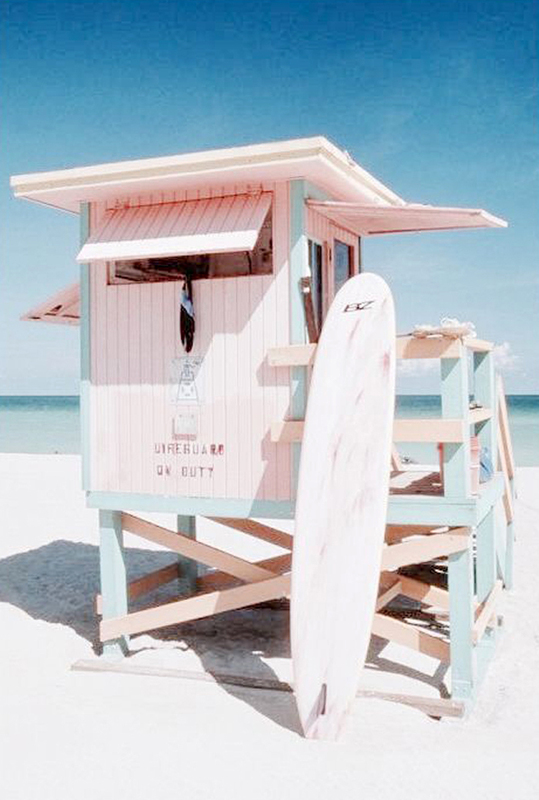 Both colours, blush pink and blue, stand strongly on their own and while also complementing each other beautifully. 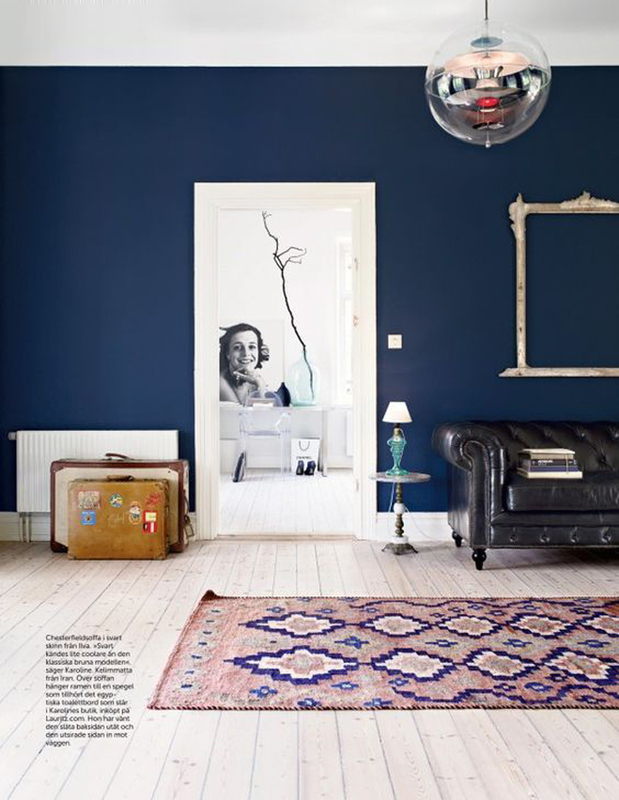 My favourite colour combo will be the dark blue and black along with sweet pastels. 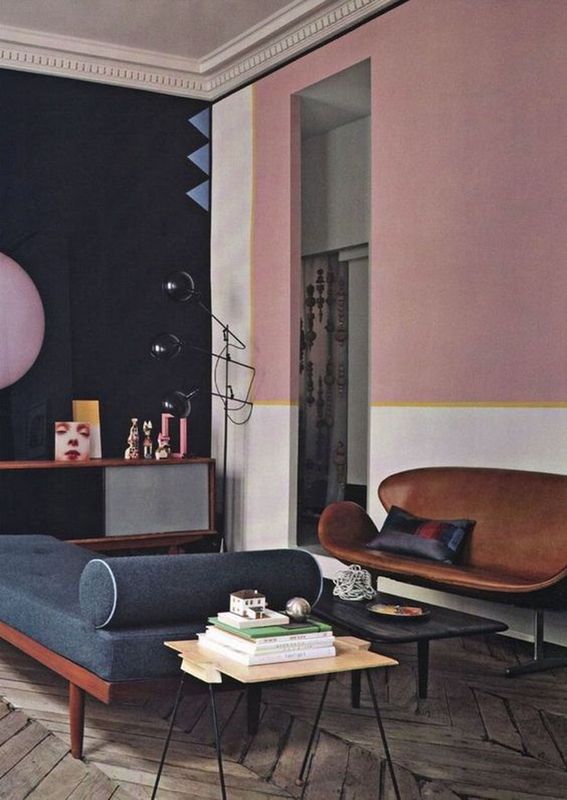 It is a brave and modern colour mix. We are not very much into blush at our own house, even though my older boy always really liked the salmon colour, close to blush. I gave him some soft pink pillows next to dark blue bedding and it is looking very nice. Haven’t heard comments about it so far, so I will advice to try this colour combo around. Very refreshing.